This website was created the week I began my doula certification (April 2011) and quickly became filled with all my thoughts as I went through training - book reports, my experience with seeking out mentors, sharing my mentors' brilliant tips and insights, offering up my mistakes and successes to help others learn! It was a wonderful opportunity for me personally and professionally to chronicle the months of my doula certification, then birth photographer training, becoming a midwife assistant and childbirth educator, and so much more in the years since! I've been blessed to attend 100 births in the last few years and teach over 200 couples through the childbirth class - it's been humbling and enlightening. As I began receiving increasing amounts of feedback and website visitors I realized I needed to go back and update and revise many of my posts. I was shocked to see I had created over 100 posts specifically under my category "Tips for Doulas!" Knowing it would take a lot of time to work my way through it, and hearing that the information I was providing was so valuable, I made the decision to do things a bit differently going forward. All the information is still here - ideas on everything from supporting a mom with an epidural, peanut ball use, photo tips for doulas, to suggestions on what to wear to births and thank you gift ideas for the medical care team. It's a LOT of information whether you are a new doula or an experienced doula wanting some fresh ideas on further building your business. Instead of having everything lumped together in my main site for clients I've separated out the doula/birth professional posts. They're now privately accessible with a log in and password and I'm offering all this great information for a small fee. One of my PDFs ("Things to Consider") in the Forms section was also receiving a lot of traffic and many requests from doulas asking if they could use it. That file is being updated and will be available only as part of my Tips for Doulas package. Keeping track of client info. Making client visits more efficient. Tips for your first few births. When to meet a client in labor. Once your payment through PayPal is completed please wait, as the page will take a few seconds to redirect you to this site to set up a log-in and password. The log-in page is also to the right under "For Doulas" or you can click here. 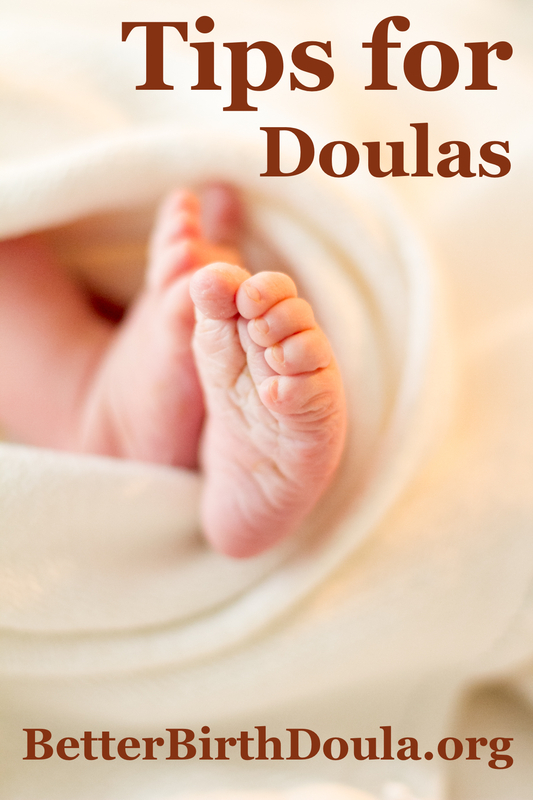 Once you've logged in then anytime you come back to this page you'll be able to see the Tips for Doula posts. Any problems, please contact me at heidi@thadenpierce.org Thanks! I’m interested in subscribing to Doula Tips. Debbe, if you click on the PayPal button above it will take you through the payment and registration process where you’ll set up a username and password. 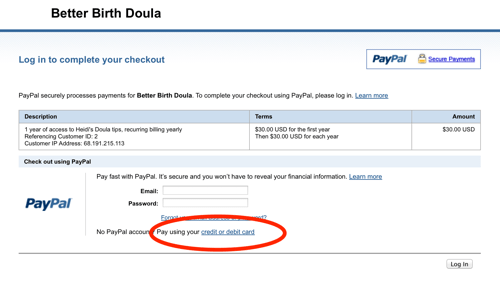 Then all the Tips for Doulas posts will be visible after you login! I am a birth doula trainer with DONA and have a new online doula training program as well as being a midwife. I was thinking it would be great to add your Doula Tips to my website resources and link to you – do you have any promotions? Im thinking a really short video about what you offer and how a new doula can access your support. Question? How current are these tips? 2016? New posts were written up consistently through the end of 2016, and there will be new (but less frequent) posts continuing in 2017. Please let me know if you have any other questions! What is your favorite Doula Certification place? I want to know where did you get the belly balls that is in your photo? Nina, I apologize that I’m not sure of their source, but the balls belong to the wonderful lactation consultants at CherishLactation.com if you want to drop them a quick note and ask.